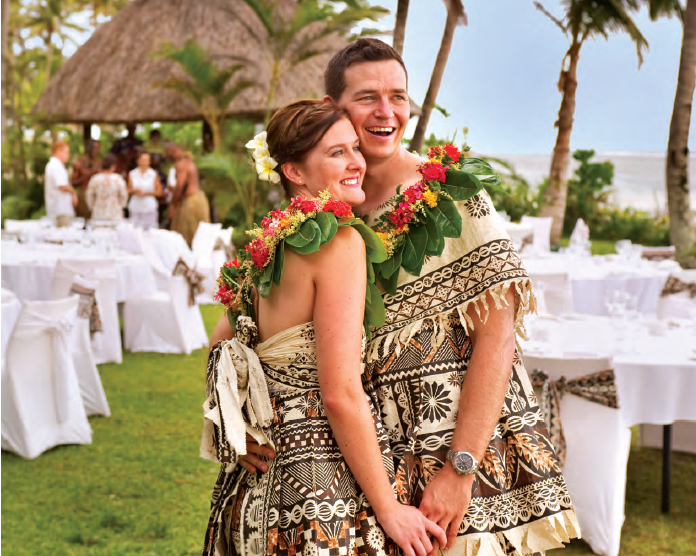 Fiji is an ideal place for couples to begin their journey of a lifetime together. From exclusive options in accommodation to a wide range of couple experiences, Indian honeymooners have an array of activities to choose from when they visit Fiji. Bula, the Fijian greeting, means life and good health; you will hear it within minutes of arriving in Fiji, the island country in Melanesia. Fiji is an archipelago of 333 sun-kissed, picture perfect islands tucked away in the South Pacific, close to Australia and New Zealand. Two-thirds of Fiji’s islands are uninhabited, making it one of the most unspoilt places on the planet. Fiji is also said to be one of the friendliest places on earth And that perhaps defines the background of Fiji being promoted as a honeymoon destination where one can start a happy journey. For the perfect honeymoon, one can choose from affordable accommodations all the way through to exclusive five-star resorts or even a private island all by you. You can choose to relax and unwind in one of Fiji’s world-class spas and beaches or indulge in the many activities and experiences that Fiji has to offer – skydiving, dirt biking, river rafting, scuba diving, trekking and many more. There is a reason so many newlyweds flock to Fiji to celebrate their love. With glistening white beaches, lush rainforests and countless hideaway spots, this is one of the most romantic places on earth. “Fiji is a year-round destination, which makes it desirable for honeymooners who would like to spend time outdoors, enjoying the fresh air and Pacific blues. Honeymooners often enjoy customised dining experiences at the destination, along with activities such as visits to a private island, a day at Cloud9 (floating bar) and snorkelling/diving experiences,” says Vaijayanthi Kari, India Representative, Tourism Fiji. The bustling multi-cultural town of Nadi is the main hub for the travellers and honeymooners that offers great places to eat, drink and shop. With its wide range of quality accommodation and close proximity to Denarau Island and the Mamanucas, Nadi is the ideal place to base yourself during your trip. 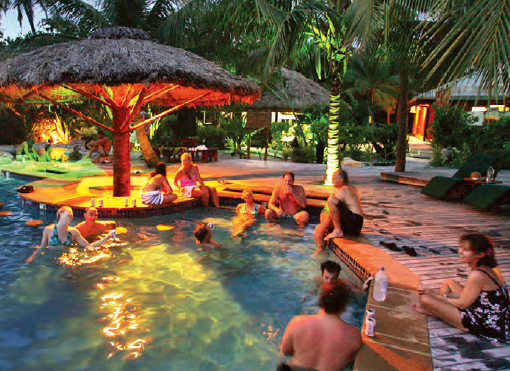 Denarau Island, on the main Island of Viti Levu, is the largest integrated resort in the South Pacific. Less than 10 km from Nadi, it boasts of eight large resorts, stunning beaches and an 18- hole championship golf course. If you want to splash out and be pampered, this is where you want to be. An excellent range of accommodation with the resorts offering designer suites, stunning swimming pools and a wide range of restaurants, Denarau Island will offer everything starting from shopping, having some adventure or experiencing some of the best dining in Fiji. With eight resorts, Denarau is sure to have the perfect location for honeymoon, wedding or just the ultimate luxury holiday. The Mamanucas are a chain of 20 islands near Nadi and Denarau. One of the most established resort areas in Fiji, the Mamanucas provide a stunning array of activities for all types of travellers, especially honeymooners. With its beautiful surroundings, these islands offer parasailing, windsurfing, dolphinwatching, and just about any other activity you can do on or under water. Korolevu, on the Coral Coast, is the birth place of Fiji tourism. A brilliant stretch of white beach dotted with copious lush vegetation, popular backpackers, hotels and resorts still line its beautiful shore. With golf, beach life and diving, the coast, as a wellestablished tourist destination, offers both the full resort experience and also a chance to visit the real Fiji in the many villages along the way which provide homestays. Suva, the capital of Fiji, is the country’s largest city and one of the most cosmopolitan ones in Oceania. A bustling and highly multicultural regional centre, Suva has everything you would expect from a large city – trendy shopping malls and farmers’ markets, restaurants, entertainment and a huge range of cultural activities. A modern city which still has many buildings dating back to the colonial era, Suva offers parks, gardens, museums, outdoor activities and a vibrant nightlife. A lively and dynamic city, you’ll be dazzled by Suva’s incredible mix of cultures and range of things to do. Vanua Levu, Fiji’s second largest island, is less tourist-oriented than Viti Levu, but, there is still lots to see and do for the honeymooners. Savusavu town is set in beautiful surroundings, with a protected bay that is a popular mooring for yachts. Whether touring the Snake Temple near Labasa, diving to see the soft corals or just exploring along the Hibiscus highway, Vanua Levu has lots to offer. The Lomaiviti Group is the perfect place to experience laid-back island life and also visit the UNESCO World Heritage Site at Levuka. The islands are at the heart of Fiji’s colonial past and are home to the country’s first capital, Levuka. Some of the inner islands are well-developed tourist destinations with plenty of facilities and attractions including diving, fishing, snorkelling and whale watching. The port town of Levuka is a UNESCO World Heritage Site, a rare example of a late colonial port town that was influenced in its development by the indigenous community which continued to outnumber the European settlers. Taveuni is the third largest island in Fiji and is known as the Garden Island. The island is covered in tropical rainforest, and surrounded by tropical reefs with some of the world’s best dive sites. The island, an eco-tourist’s dream, is also known for dive sites such as Eel Reef and the Great White Wall, an amazing drop-off covered in white soft coral, a marine park which teems with fish. The Bouma National Heritage Park offers hiking trails and world-class bird watching, with Kula Lorikeets, Silk-tails and Orange Doves and 100 other species of bird calling Tavenui home. Tourism Fiji is making all efforts to rebuild its economy as tourism is the largest revenue contributor to the Fijian economy and accounts for 30 pc of the country’s GDP. Fiji is a wonderful destination and a safe destination to come to. People are finding it little less difficult to travel the long-haul, owing to improved air connectivity. Growth from India has been steady. In terms of accommodation, there is every major hotel chain that you can imagine around the world – the 5-star, the 7-star, and the boutique hotels. Fiji is a great honeymoon destination as there is the sun, sand, sea and surf. “We have some exciting activities coming up in the market for leisure travel that is consumer-centric. We are actively engaging with our target audience in India through multiple consumer platforms and are seeing a very positive response for Fiji,” informed Vaijayanthi. 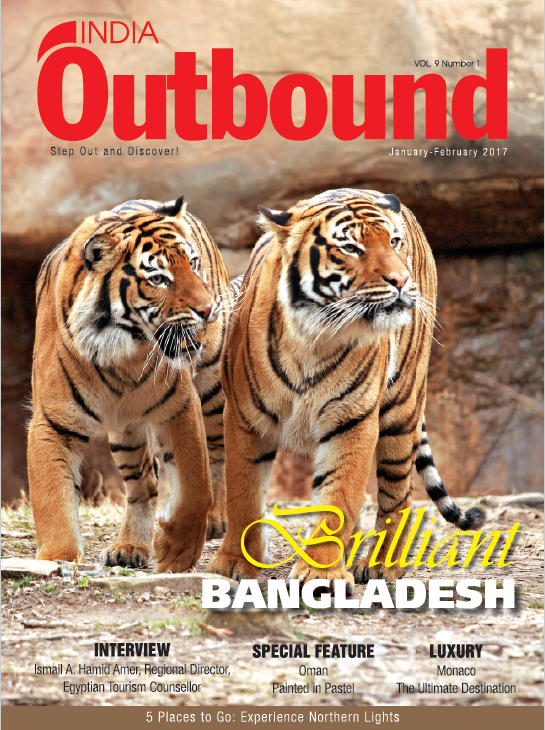 Young Indian couples are willing to venture out more to new destinations. One of the added advantages is that Fiji speaks English and a part of the population in Fiji is of Indian origin. Indian people, after a couple of days, start looking for Indian food which is also available. So, all of that put into the package together is making it more interesting. Fiji is a destination that is known for its beautiful, serene conditions, which is making more and more people choose it as a travel destination. “We are seeing a keen interest from Indian honeymooners for Fiji and we aim to further highlight varied offerings of the destination. We are expecting a double-digit growth from the market in the upcoming months,” concluded Vaijayanthi. Nestled in the middle of the South Pacific Ocean, Fiji may seem far away, but getting here is fairly easy. Nadi International Airport is the main gateway to the country for most travellers, and there are several domestic airports scattered throughout the islands.Fiji Airways, Fiji’s national carrier, has regular direct flights from many international destinations like Auckland, Christchurch, Wellington, Brisbane, Melbourne, Sydney, Singapore, Hong Kong, Honolulu, Los Angeles, and seasonal flights from San Francisco. A 4-month visa on arrival is granted automatically to visitors from most countries. All you need is a passport that is valid for at least 6 months beyond your stay. Those not on this list can apply for one through their nearest Fiji High Commission. Fiji as a destination offers much more with its breathtaking beauty combined with activities like water sports, sky diving, white water rafting, cultural tours, cave tours, river safari trips, shark diving, spas and a lot more.